As Danish troops discover in A War. 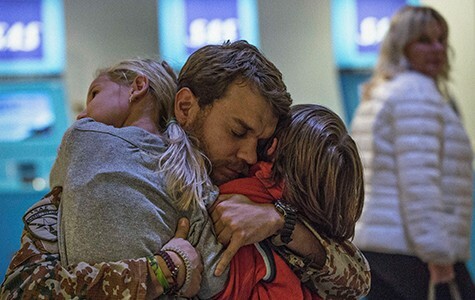 Pilou Asbaek (center) in A War. Written and directed by Tobias Lindholm. 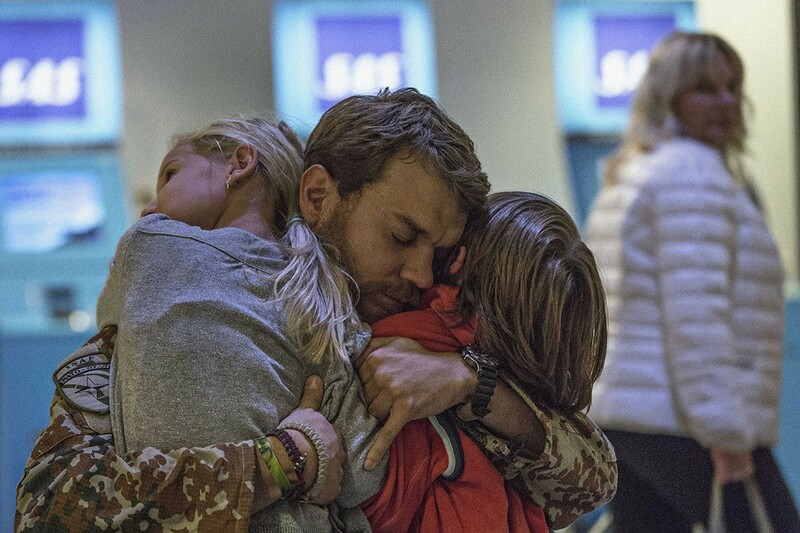 With Pilou Asbæk and Tuva Novotny. Now playing. Admirers of Tobias Lindholm's high seas actioner A Hijacking — aka the anti-Captain Phillips — will want to catch the Danish helmer's latest, an Afghanistan military tale simply called A War — even though it's not quite as compelling as the earlier pic. Writer-director Lindholm aims for the same ultra-realistic tone and underplayed anxiety as the aforementioned Indian Ocean-set drama, this time in the story of a Danish army contingent manning an outpost in a Taliban-infested Afghan province. Seemingly every time company commander Claus Pedersen (Pilou Asbæk, from A Hijacking) takes his men out on patrol, one of them gets blown apart by an IED or shot through the neck. The carnage wears heavily on Claus, but he's too kindhearted to take it out on the innocent villagers caught between the insurgent Taliban and the tall, sandy-haired occupying armies. Thanks to modern telecommunications, Claus is also obliged to listen to his wife's (Tuva Novotny) problems with their three kids back in Denmark, every evening on his civvy mobile. So Claus worries about the men under his command plus his temporarily fatherless family, 24 hours a day. As it turns out, he would do well to worry about public support for the Danish expeditionary force back in Copenhagen. Something awful happens that causes everyone concerned to rethink the whole Afghanistan thing, and we follow Claus through it every step of the way. Filmmaker Lindholm takes pains to use actual Danish soldiers and Afghan civilians in his terse war drama. The scenario, however, peters out in the last third and leaves us wondering, as do Claus and his wife Maria, if all that self-sacrifice is truly worth it. A War may not be as visually exciting as Hollywood war movies, but the questions it raises linger after the credits fade.